Shares of Punjab National Bankslumped over 6 per cent and fell to a 20-month low on the bourses after Nirav Modi's Firestar Diamond filed a bankruptcy plea in the US and a local court in Mumbai issued summons to the accused diamantaire. Meanwhile, media reports have surfaced that Nirav Modi is not coming back to India anytime soon. Reacting to the developments, the stock today fell to an intra-day low of Rs 92, down 6.45 per cent over its previous closing price on BSE. The stock has fallen to a level last seen on June 20, 2016. Since February 14, when the scam broke, the stock has fallen as much as 37 per cent on BSE. On the NSE as well, the stock touched fresh 52-week low of Rs 92. Modi's international jewellery business Firestar Diamond filed a bankruptcy plea in the US. Furthermore, a local court in Mumbai has issued summons to the diamantaire in connection with an income tax evasion probe against him and his companies. PNB has said that the alleged fraud perpetrated by jewellers Modi and Mehul Choksi may be around USD 2 billion, over USD 204 million more than previously estimated. Shares of Gitanjali Gems continued to lose ground and fell 5 per cent to its 52-week low level yet again on BSE and NSE. The benchmark indices were trading flat taking cues from its Asian counterparts. Back home, market participants will look forward to key economic data such as Nikkei Markit Manufacturing Purchasing Managers Index (PMI), Fiscal Deficit and Gross Domestic Product (GDP) to be released on Wednesday. In the global markets, Asian shares extended their recovery on Tuesday, hitting a three-week high as US borrowing costs eased ahead of Federal Reserve Chairman Jerome Powell’s highly-anticipated first congressional testimony later in the day. MSCI’s broadest index of Asia-Pacific shares outside Japan rose 0.3 per cent, building on its bounce from a two-month low touched on Feb 9. Japan's Nikkei rose 1.0 per cent to three-week highs. On Wall Street, the S&P 500 advanced 1.18 per cent on Monday helped by fall in US bond yields. The domestic indices were trading higher on Monday taking cues from its Asian counterparts. Later this week, the market participants will look forward to key economic data such as Nikkei Markit Manufacturing Purchasing Managers Index (PMI), Fiscal Deficit and Gross Domestic Product (GDP). In the global markets, Asian markets were in a guardedly upbeat mood on Monday, heading into an event-packed week headlined by US inflation data and the first House testimony by the new head of the Federal Reserve. A modest improvement in risk appetite saw the safe-haven yen lost ground, while MSCI’s broadest index of Asia-Pacific shares outside Japan firmed 0.3 per cent. Japan’s Nikkei climbed 1.4 per cent and E-Mini futures for the S&P 500 rose 0.1 per cent. The gains followed Wall Street, where the Dow ended Friday up by 1.39 per cent, while the S&P 500 gained 1.60 per cent and the Nasdaq 1.77 per cent. Indian indices seen a consolidation for the week ended February 23 amid no major cues from domestic as well as international markets. Equity benchmarks have been oscillating within last two weeks’ broad range of 10600-10300, indicating consolidation after the recent sharp decline of 8%. The index rebounded from the oversold territory and is under the process of forming base near the lower band of broader consolidation range around 10300. Going forward, we expect the market to consolidate and form a good base in the range of 10300–10600. However, we believe this consolidation will make markets healthier and offer an incremental buying opportunity, said Dharmesh Shah of ICICIDirect.com Research. On the F&O expiry day, both the indices closed with a marginal loss. However, on Friday the indices closed with 1 percent gain. In the last week, Nifty50 gained 38.75 points, closed at 10,491.05 and Sensex was up 131 points, closed at 34,142.10. The foreign investors sold equities worth Rs 5781.98 crore. However, domestic institutions bought Rs 5972.69 crore worth of equities in last week. India's volatility index (India VIX) shed 13.3 percent last week. 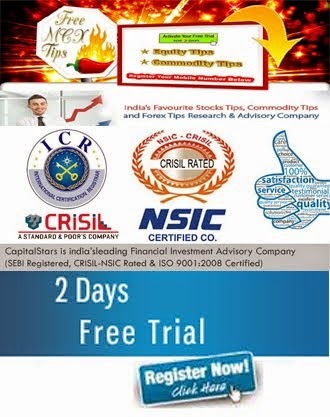 S&P BSE Midcap index was down 0.24 percent, S&P BSE Smallcap index was down 0.22 percent, while S&P BSE largecap index was up 0.29 percent. Global indices projected a mixed picture as the US markets along with the Asian markets recorded gains in the week gone by. 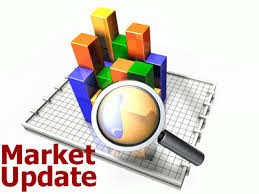 But the Indian markets including the Sensex and the Nifty remained flat as the Sensex could only manage 0.01 percentage gain while the Nifty was down 0.03 percent. This was largely aided by the fall in the benchmark indices on February 16, 2018 as the Sensex fell 286.71 points while the Nifty shed 93 points. 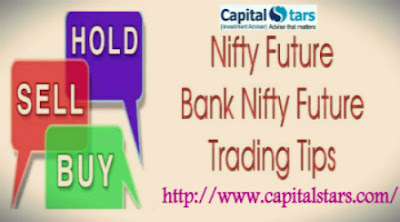 Nifty and Sensex ended on flat note in the week ended February 16. 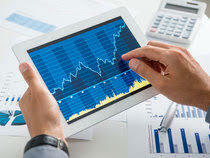 It has been a volatile truncated week as the benchmark indices have been dancing to the tune of global equity indices. India's volatility index slipped nearly 15 percent last week. Asian markets reported positive close for the week with the Nikkei 225 gaining 1.19 percent at close on Friday while the Index closed 1.58 percent higher for the week. Hang Seng was up 1.97 percent on Friday and for the week it jumped 5.45 percent. The Korean Index Kospi added 1.11 percent ending Friday while for the week the index gained 2.46 percent. The Nikkei VIX was down 1.89 or 7.45 percent. 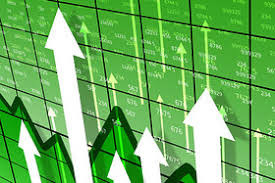 Across the globe, the US markets provided a good performance with the Down Jones Industrial Average gaining 4.25 percent for the week gone by, its strongest weekly gain since November 2016. while the Nasdaq added 5.31 percent for the week, its best week since December 2011. 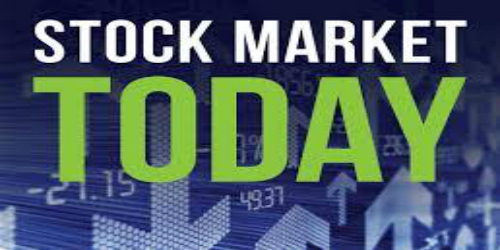 The Dow Jones Industrial Average, yesterday rose 0.08 percent to end at 25,219.38 points, while the S&P 500 .SPX gained 0.04 percent to 2,732.22 and the Nasdaq Composite dropped 0.23 percent to 7,239.47. The market recently corrected sharply due to weak global cues, and the imposition of dividend distribution tax on equity oriented mutual funds & long term capital gains. It, however, managed to break the fall, and tried to recover with support from bargain hunting and bounce-back in global peers. Last week, the market lost 3 percent and ended over its one-month low at 34,005.76 on the Sensex, but recovered nearly 300 points to end at 34,300.47 on Monday. In fact, the broader markets recovered faster than frontline indices as investors got an opportunity to buy quality stocks on sharp correction. This recovery may continue but consolidation is majorly seen in short term as the market will watch out for stability in global peers before sharp recovery, so further correction can't be ruled out, experts suggest. As we are near the fag end of the earnings season and most of major corporate earnings already priced in, and no major event lined up in the offing, the market is likely to take cues from globe, according to experts. 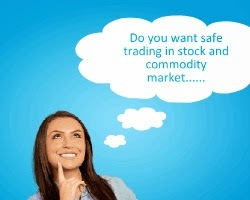 "We feel global cues will continue to dominate our market trend, in absence of any major event. Nifty may see some bounce or consolidate further however sustainability at higher level seems difficult," Jayant Manglik, President, Religare Broking said. Traders should use further recovery to reduce existing longs and creating fresh shorts, he advised. The markets are expected to remain choppy as investors adjust their asset allocations amid rising interest rates Relief was short-lived for investors as Indian stocks tripped again on Friday amid fresh declines in global equities with Wall Street entering a ‘correction zone’, a 10 per cent drop from its peak. The Dow Jones index’s second 1,000-point, or 4-per cent-plus, correction on Thursday triggered risk aversion among investors. Most Asian and European markets fell over 2 per cent. The fall in domestic equities was relatively subdued with the benchmark Sensex declining 407.4 points, or 1.2 per cent, to close at 34,005.76, the lowest since January 3.The Nifty50 index slipped 121 points, or 1.2 per cent, to 10,455. A day earlier, the benchmark indices had rebounded 1 per cent as some investors had resorted to value buying in beaten-down stocks. The Sensex ended the week with 3 per cent losses, its worst weekly decline since August 2017.The markets are expected to remain choppy as investors adjust their asset allocations amid rising interest rates. The 10-year US Treasury note — a key indicator for inflation and interest rates — has climbed by almost 50 basis points to nearly 2.9 per cent, the most in four years. Investors fear rising bond yields will prompt the US Federal Reserve to aggressively raise interest rates. This could shrink the liquidity that has splashed around emerging markets like India in the past few years.